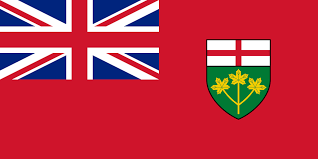 Peace Bond in Ontario - What is it & How to get it? Peace Bonds in Ontario: How Do They Work? The main thing most people know about the conviction process in North America (or anywhere else for that matter) is that it involves a trial. Ask anyone on the street what a criminal procedure might look like, and their answer will likely be informed by what they’ve seen in film and TV: a courtroom, a judge, lawyers, a defendant and a plaintiff. In the end, someone is found guilty or not guilty. The 2016 trial of CBC broadcaster Jian Ghomeshi is an example of such a high-profile case. Most people who were following that case would know that Ghomeshi was acquitted of the charges of sexual assault and choking – that is, he was found not guilty by the court. The main reason for this was that the judge simply didn’t believe the testimony of the women who came forward. However, with respect to one of those charges (involving the complainant Kathryn Borel), a different outcome was achieved: Ghomeshi signed a peace bond. This is a lesser-known result of a trial in Canada, which shows that the trial process is not always as clear cut as guilty vs. not guilty. In Canada, a peace bond is a response to a charge that involves a contract for good behaviour. In the US, the closest thing to a peace bond would be a restraining order. A peace bond is not an admission of guilt – nor is it a “punishment” for an offense. It’s simply a way to resolve a case that has no solid evidence either way. It’s commonly used in domestic disputes and sexual assault cases. Who Decides the Peace Bond? The court will decide to offer a peace bond to the person charged when it believes that a standard trial would not be resolved in a satisfactory way. In some cases, a defendant may seek to apply for a peace bond either with the help of a lawyer or through the assistance of the police. When are Peace Bonds Offered? Courts generally do not offer peace bonds when they know they have a solid case against the defendant. In cases where there may be not enough evidence, or when trying to seek a regular trial won’t likely achieve any kind of resolution for those involved, a peace bond might come into the picture. What Does a Peace Bond Involve? A peace bond is essentially a contract that lays out a specific type of behaviour which the person must adhere to or refrain from, such as avoiding certain places, not consuming alcohol, or avoiding contact with a specific person. The duration of a peace bond can vary but the maximum length is one year. If a person breaks the conditions of a peace bond, new charges such as disobeying a court order may be made. These charges are considered criminal offences, so in addition to a fine, a defendant may also face a jail sentence of up to four years. As long as the individual adheres to the terms of the bond they signed for the stated time period, the charges laid against them are withdrawn. As you may have read, Ghomeshi’s peace bond also involved an apology to Ms. Borel. This is not an admission of guilt in the legal sense. Resolving a case in this manner is often desirable for the complainant, especially in cases which involve domestic disputes. In a social sense, Ghomeshi has admitted to and apologized for wrongdoing against Ms. Borel. Note that the other women who accused Ghomeshi did not receive such an apology, and some of them have publicly indicated that they would have liked to receive one. What Happens After a Peace Bond? After the peace bond ends, charges are withdrawn. In a sense, receiving and signing a peace bond means that the trial was cancelled – there was no trial and no result of “guilty” or “not guilty.” However, records of an arrest and charges will still appear on your record. A peace bond allows the defendant to avoid a conviction, but that does not mean that their criminal record is now totally clean. A background check will show that an arrest was made, and charges were laid against them. There won’t be a conviction or pending charges on the record, but it will show that there was a charge and arrest. This can still be a huge obstacle to securing employment, volunteering, or crossing the border into the US. There is hope, however. After a set period of time has elapsed from the end of the peace bond, one can apply to have all records leading up to the peace bond deleted from the Canadian Police Information Centre. Next PostWill I Get a Criminal Record for Theft Under $5000?